session at the Virgin Megastore on the Champs-Elysées. According to Virgin Megastore’s website, the show is scheduled to start at 6:30 pm. We hope that Zombieguide readers in Paris will be able to attend the show, and will join the forums to tell the rest of us how it went! Europeans fans can now pre-order Dolores O’Riordan’s Are You Listening? on their national iTunes music store. The digital songs will be available for download starting May 7th. The album, priced at €9.99, will include two bonus tracks, “Willow Pattern” and “Forever”. 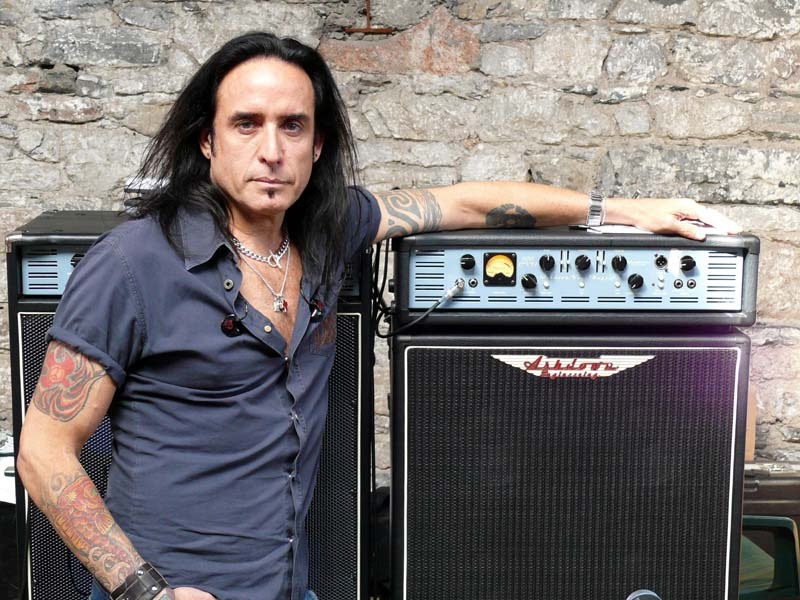 “Are You Listening?” available in Spain? 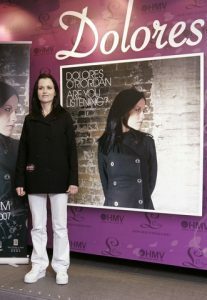 Retails stores in Spain are selling Dolores O’Riordan new solo album a few days early. The Fnac store in Barcelona is confirmed to be selling the CD. It is likely that other Fnac stores in Europe are selling the CD as well. Update: The Fnac stores in France won’t be selling the CD until its offcial release date. Check below for scans of the packaging. Check out the forums for more scans and photos. Thanks to Fergalet for the news and scans! Major news agencies Associated Press and Reuters both covered Dolores O’Riordan’s autograph session and press conference at the HMV store in Hong Kong today. Photos from both the AP and Reuters are below. 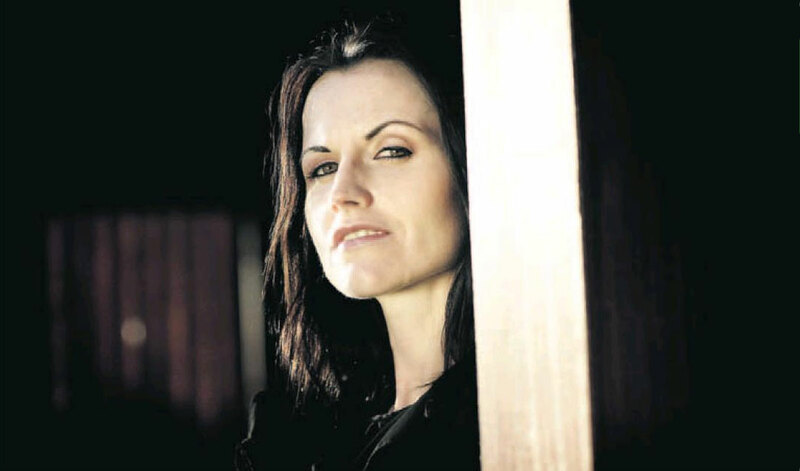 Cranberries singer says reunion possible, click here to read pdf file. 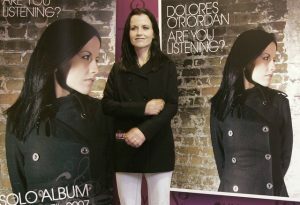 The German newspaper Aargauer Zeitung has published their review of Dolores O’Riordan’s Are You Listening? 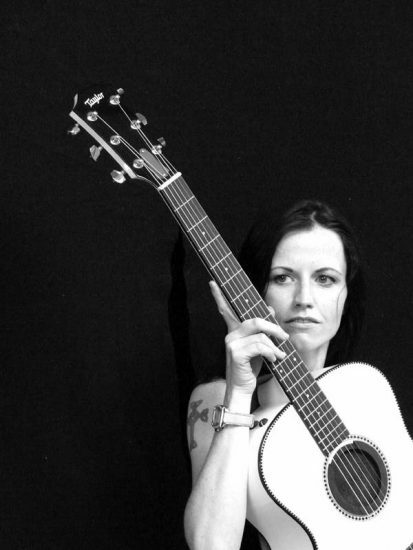 DOLORES O’RIORDAN Are you listening? Sanctuary/Phonag. HMV also confirms that the 7′′ vinyl, which includes the song “Forever,” will be limited to only 1000 copies. Both the CD and vinyl release in the UK on April 30. Amazon doesn’t list a country for this version, but says that it is due out April 30. 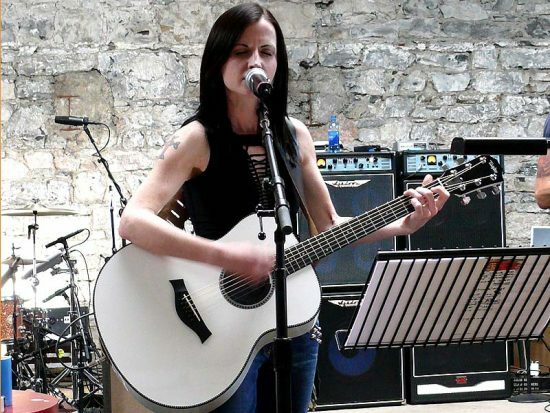 Dolores O’Riordan’s performance and interview from last week on Ireland’s “Late Late Show” is now posted on the RTE website. Dolores O’Riordan is an icon of modern music. 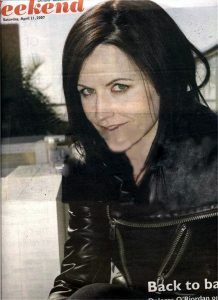 As lead singer of The Cranberries she has sold a massive 45 million records. 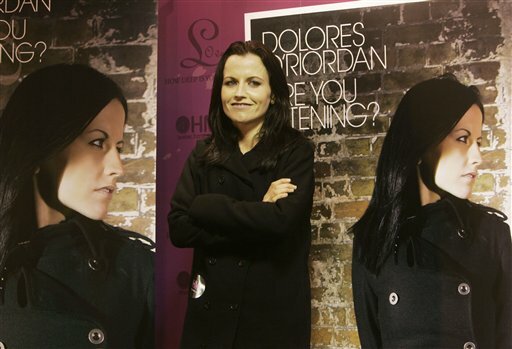 Tonight on The Late Late Show Dolores launched her solo career and her debut solo album “Are You Listening?” Dolores performed her new single “Ordinary Day” and spoke to Pat about fame at a young age, performing for two popes and a whole lot more besides. The clip is pretty long at 17 minutes, and includes some great interview bits, including Dolores describing the time when she got to sit on Luciano Pavarotti’s lap a la Santa Clause. A high-res scan and brand new photo are below for your enjoyment. Dolores O’Riordan today performed a short 3- song showcase in Taipei, Taiwan. This is the first stop on her Asian promo tour which will take her to Taiwan, Hong Kong, and Thailand. 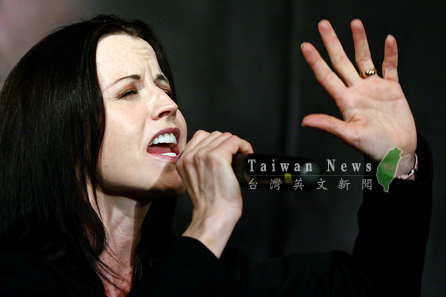 The Cranberries achieved remarkable success in Taiwan even in more recent years. Stars: The Best of The Cranberries 1992-2002 was the best-selling international album in Taiwan in 2002, despite not having toured there sinice 1996. Furthermore, Taiwan got lavish box sets of Wake Up and Smell the Coffee and Stars unavailable anywhere else in the world. Taiwan News Online has the story from Dolores’s showcase gig and press conference, click here to read pdf file. 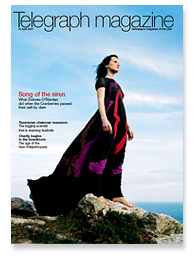 Dolores O’Riordan was on the cover of yesterday’s (April 21) issue of the Irish Examiner’s Weekend supplement. If anyone can get us nice scans or text, please send it in! 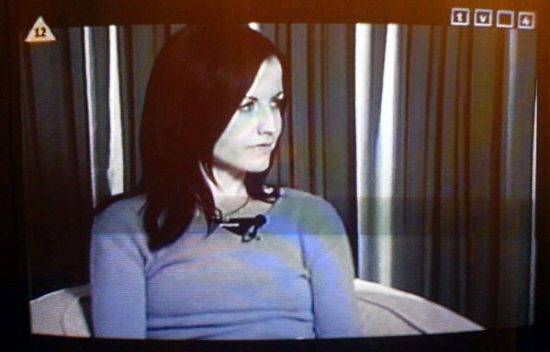 Strona Cranberries has a screencapture gallery of Dolores O’Riordan on TV4’s “Na topie wywiad z…” program in Poland. 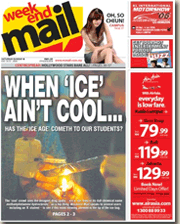 Click here for yesterday’s news story on that subject. 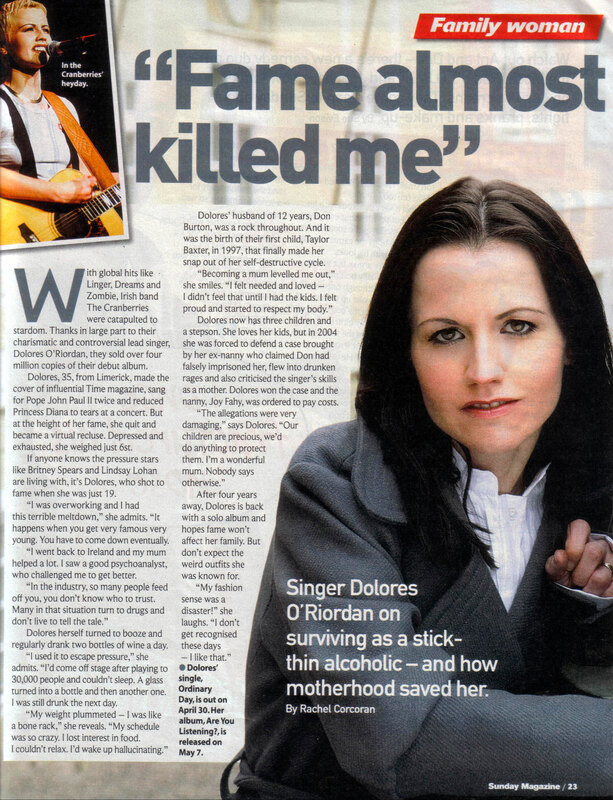 Ireland’s Sunday Independent today has a wonderful and lengthy teaser for a new interview with Dolores O’Riordan. The newspaper published “part 1′′ of a new interview today, promising that the full article will run next week in the April 29th issue. 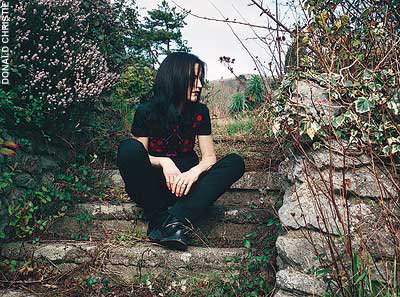 DOLORES O’Riordan walks into the garden of her Howth home and explains why she walked away from one of the biggest bands in the world. 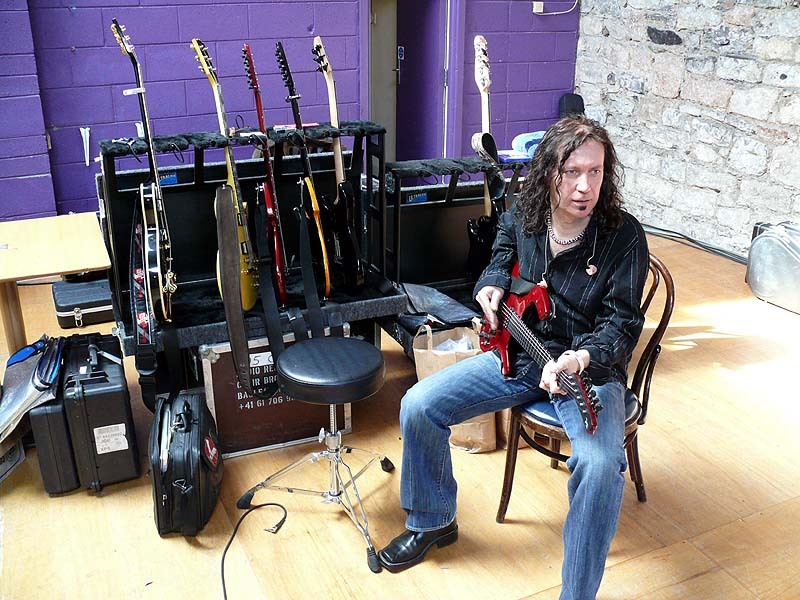 wan who became an international superstar had done five albums plus a Greatest Hits with The Cranberries. “There was an awful lot going on behind the scenes that was so much more important than being in The Cranberries or any band,” she says. the debut solo album by former the Cranberries frontwoman is going to be one of the better albums to be released this year. The first single, Ordinary harks back to her Cranberries’ days but that’s about it, apart from her of course distinctive voice. As a whole, the album moves along the same lines as Siouxsie and the Banshees and Sinead O’Connor – during their peak – while lyrically, this could be her most personal album to date. Songs like the first single, Black Widow and Apple Of My Eye ought to be a testament. Dolores O’Riordan will be signing autographs at the HMV Style House in Hong Kong on Tuesday. Fans who preordered a copy of Are You Listening? will be able to receive a free autographed poster. 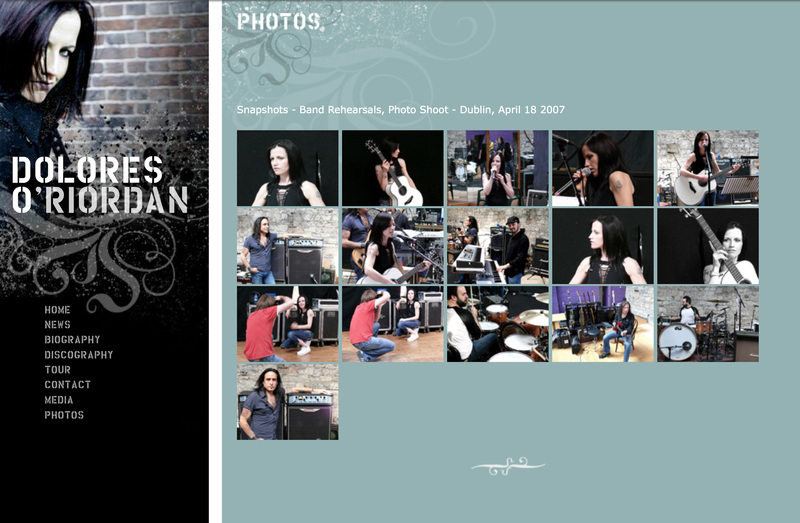 Dolores O’riordan will be in Hong Kong on April 24th and 25th 2007. (1) Customers can pre-order the album Are You Listening? at any local HMV store or HMV website. With the receipt, they will receive a poster at the autograph session. HKClubbing.com is giving away some guest lists for her private showcase on April 25th! More information cominh soon. Poland’s TV4 aired a new interview with Dolores on their “Na topie wywiad z…” program this morning at 7:00 a.m., the result of Dolores’s recent promo jaunt to Warsaw. Dolores said that she is planning a concert for Poland in autumn, which hints at another European leg of her world tour to come this fall. If you missed it, it will air again tomorrow morning (April 22) at 3:05 a.m.
Adriano informs us that this interview also aired on MTV Brazil. You can download the interview video from Cranberriesclub.com (thanks to stellian) or watch the Youtube version below. M6 Music Rock in France last week aired their interview with Dolores O’Riordan, hosted by radio show host Zegut. Dolores speaks nearly equal parts French and English in the interview. You can download a high quality version in the forums (thanks badjoe and maze) or watch via Youtube below. Zegut: She is Irish. Her name is Dolores. She’s releasing a magnificent album. 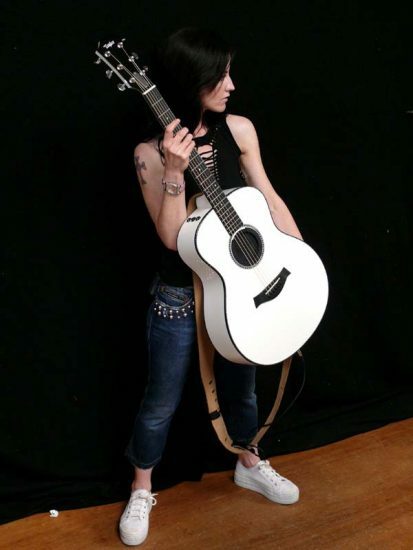 She’s the ex singer of the cranberries. Z: Thank you for accepting our invitation to “Focus” “M6 Music Rock” . The first question, how do you pronounce your name? Z: You are the ex-singer of The Cranberries. What motivated you for this solo album? D: I think since I was 18 years old, I arrived in the US with The Cranberries. The success of The Cranberries was very big for an 18 years old girl. I probably spent 15 years with the band. I went on the bus, did a tour. After the tour, I made another CD. After the CD, I did promotion. And my life is like this [roller coaster]. Between the 15 years with the band I had four children, but when I had a baby, after three months, I had to go back with The Cranberries. Now it’s the first time in my life that I can stay at home for long time. During that time I wrote from time to time. Something would happen and it would become like a therapy for me. To be honest, it was the best 4 years in my life. For that reason, the songs and the album are fresh. The inspiration came from the children, mother, father, and the things that happened in life. Z: You are signed to a small label. Is it an intentional choice? D: Yes, it is an intentional choice. I think that for an artists like me, Sanctuary is a very good company, because they like to take time to understand artists. I am a unique and different artist unlike the manufactured big artists. I feel like they appreciate me, and they’re working with me with respect. I have respect for them. This makes you feel better everyday when you wake up. Z: you’re not just a product. D: exactly, not just a product. Z: Don’t you think that in a few years there will be in one side the artists and the other side the people who like the artists and go to their concerts, and what is between the two, the means, will disappear or change? D: This is one of the good things of the internet is that it takes away all the middlemen. It gets to that point where the artists can talk directly to their fans and you know how many people are into you. Whereas before manufactured artists and major record companies had so much control, I suppose, because the radio will chose what to play and who was played, but now it’s definitely a democracy where the people can choose for themselves through the internet and through downloading. so that’s cool, you know! Z: As an adolescent, what kind of music did you listen to? Z: In the new album there are some titles like “In The Garden” “Stay with Me” “Black Widow” there is a dark side with some metal guitars. Were the four years that inspired the songs hard? Z: Apart from liking AC/DC, having an album with some Dark side, and a guitarist who likes metal, would that mean that you might have a cover during your concerts, for example something like AC/DC. Z: Have you definitely turned the cranberries page? Are you going to continue with your solo career? D: I don’t know, but the door is open. Z: The Police are reuniting after 30 years. Do you think that’d happen with the cranberries? D: Maybe, But I think when there’s only 6 or 8 years, it’s not much. If it’s a long time, I think it’s a good reunion, cos people wait. Dolores O’Riordan’s “In the Garden,” an album track from her forthcoming Are You Listening?, made it to today’s “Anti-Hit List” column in Toronto’s biggest newspaper, the Toronto Star. The list praises great songs that don’t have the hallmarks of radio friendly pop. 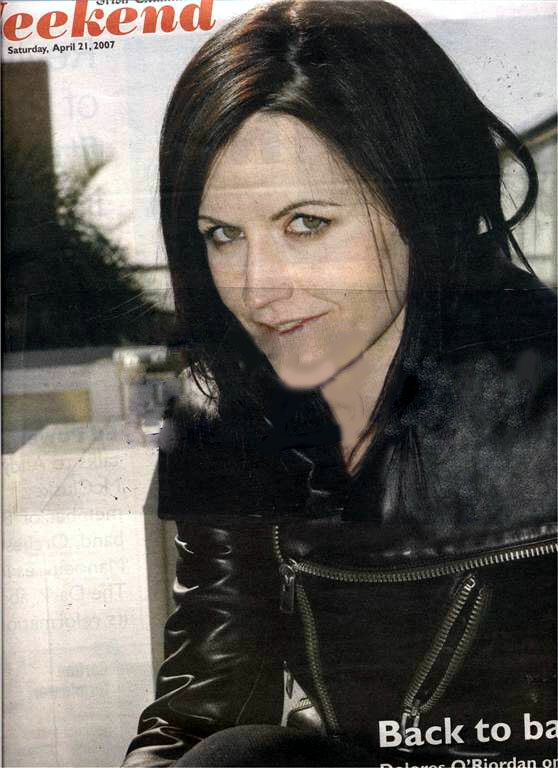 Dolores O’Riordan has a stunning cover shot on the front of today’s Telegraph Magazine in the UK, a supplement to the Daily Telegraph newspaper. The cover’s subhead is a bit backhanded — “What Dolores O’Riordan did when The Cranberries passed their sell-by date” — but the Telegraph has been known to produce some truly excellent interviews (not to mention one of our most favorite photos of Dolores ever), so you’re in for a treat. Whatever happened to the Cranberries? 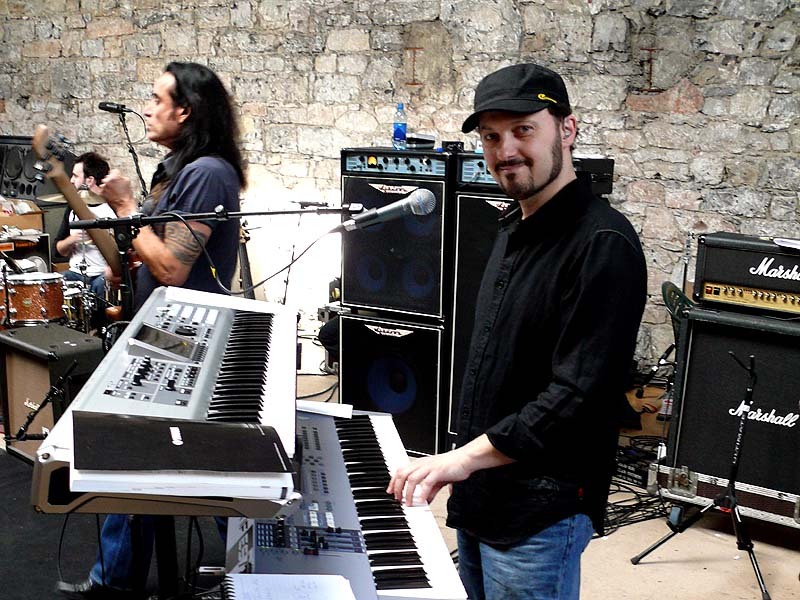 In the early 1990s they were the little Irish band that had it all – four backwater teenagers from Limerick who formed a group, toured in a bread van, drank a load, had a laugh and, as if by magic, signed a six-album deal in London with the American arm of an international record label. 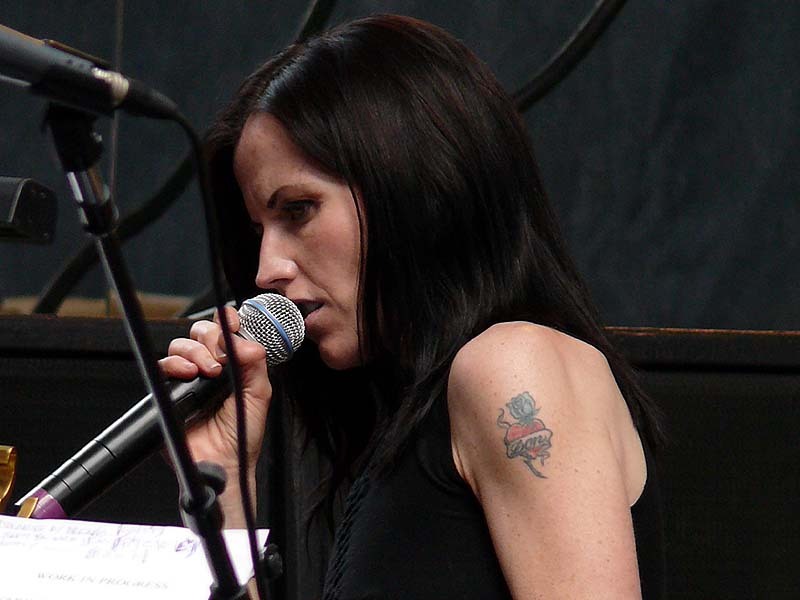 The songs, co-written and sung by Dolores O’Riordan, were the key to their appeal. She was an elfin frontwoman with the voice of a giantess, a slip of a thing who could slip from Celtic etherealism to punchy arena-rock drama. Their songs and their sound – a U2-lite fronted by a less strident Sinead O’Connor – made them global megastars, particularly in America. The singles Linger and Dreams were huge hits, ubiquitous on MTV, radio, TV shows and over the PA systems in every high-street shop. In 1994, almost a year and a half after its original UK release, their debut album Everybody Else Is Doing It, So Why Can’t We? reached number one in the UK, its rise powered by the sheer momentum of their phenomenal American achievements. In their first flush of success in America, the Cranberries supported their hit debut album by touring with Suede, The The, Duran Duran and then, as O’Riordan remembers it, ‘tons of headline tours’. They played the huge Woodstock festival in 1994. On one tour they were doing two shows a night. And the hard work paid off: by the mid-1990s the Cranberries were the second-biggest Irish band in the world. They had Number One singles in 26 countries. By the end of the decade, propelled by the subsequent big hit singles Ode To My Family and Zombie, they had sold 28 million copies of their first three albums. 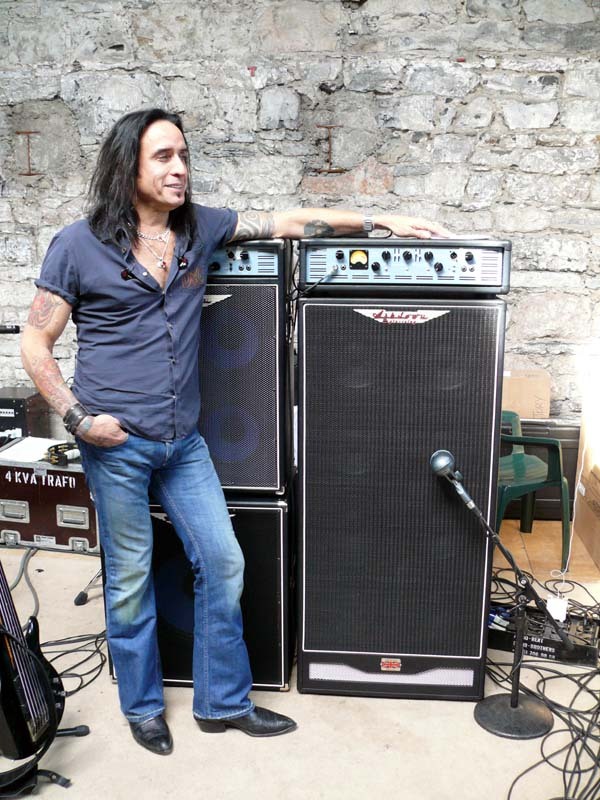 Their singer, meanwhile, was often accorded the dubious accolade of ‘Ireland’s richest woman’. And then… what? The Cranberries slipped off the radar. There were another two albums, Bury the Hatchet, and in 2001, Wake Up and Smell the Coffee, but you could be forgiven for not noticing. 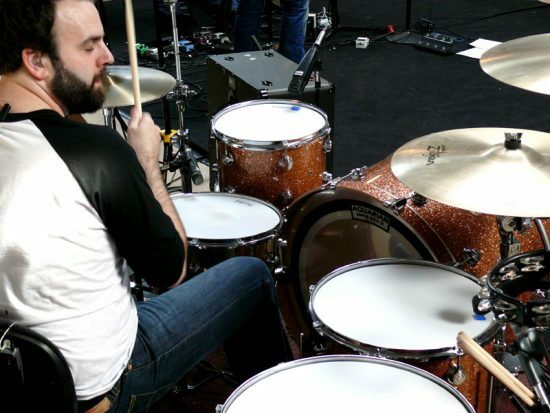 Maybe the band barely noticed either. 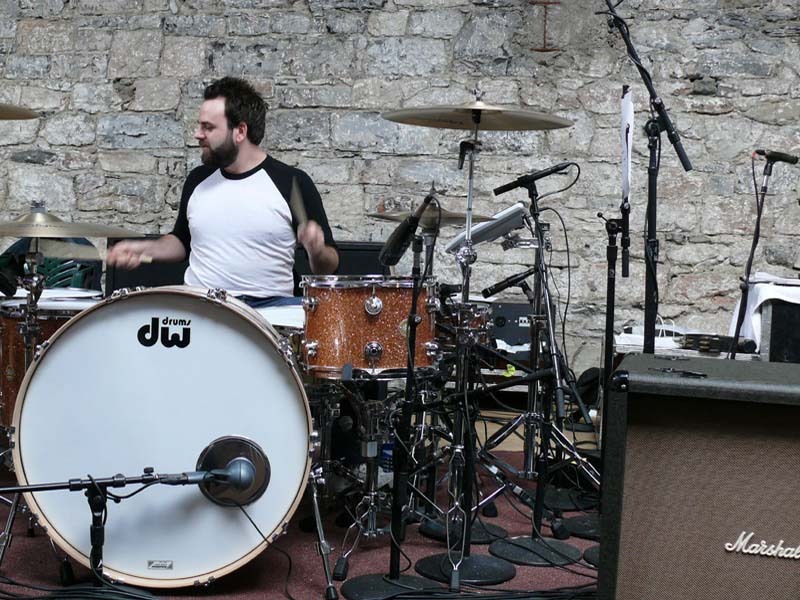 For a long time, almost since the release of their first album, O’Riordan, Noel Hogan (guitar), his brother Mike Hogan (bass) and Fergal Lawler (drums) had collectively given the impression of a band who didn’t much care for being wildly popular. O’Riordan, especially, was characterised as at best shy and withdrawn, and at worst moody and erratic. From upstairs floats the sound of Taylor, nine, Molly, six, and Dakota, two, O’Riordan and husband Don Burton’s three children. (She has a stepson, Donny, 15, who lives in Toronto with his mother, Burton’s former partner.) A strapping Canadian a decade her senior, Burton was tour-managing Duran Duran when he and O’Riordan met. After a two-month courtship they were engaged, getting married in the summer of 1994. The bride, infamously, wore a see-through dress. In October 1996, after the release of their third album To the Faithful Departed, a burnt-out band cancelled the remainder of a world tour. O’Riordan, especially, simply wasn’t up to it. At the time she weighed six and a half stone, and she was racked with self-doubt. She had always been insecure – she readily volunteers that this was because, ‘I didn’t get a lot of attention from my dad when I was young. That’s a big part of it for girls. Because your dad is the first love of your life. If he doesn’t put you on his lap and give you a pet, you do end up not really liking yourself that much.’ Convent-educated O’Riordan is the youngest of seven children, and was raised in a strict Catholic household. Her father, Terence, was injured in an accident when she was a child, and so her mother had to support the family. Receiving the adulation of countless thousands of concert-goers, it seems, was no help. That was the ‘wrong love’. Working and travelling but ‘having no friends around you, and no normal love, and no reality – of course you’re gonna turn into a kind of a lunatic eventually. So, it happened to me,’ she says, a broad smile fixed across her face. She began to recover, the healing process helped along by the birth of her first child the year after the diagnosis of her breakdown. But the fire had gone out of the Cranberries, and their music. They had spent the preceding six years racing to the top of the mountain. They would spend the next six sliding slowly down the other side. It is a sunny Saturday in Dublin’s affluent outer suburbs. Howth is a millionaires’ playground, albeit one disguised as an unostentatious, family-oriented neighbourhood. The politician and businessman Feargal Quinn is a neighbour, Ronan Keating of the recently reformed Boyzone lives nearby. O’Riordan is back home for just a day. She is busy promoting Are You Listening?, her first job of work in four years, and right now she is in a different European country every day. Are You Listening? is a collection of well-crafted pop songs, not as maudlin, wishy-washy and lumpen as the Cranberries’ latter albums. Her remarkable voice, too, is less histrionic. The punchy Ordinary Days (dedicated to Dakota) and the ballad Apple of my Eye (about Burton) have melodies to rival those long-ago career-launching singles. On the big rock thumper, Loser, she doesn’t pull any punches (‘The moral of the adventure is this/Take me for granted, you are taking the piss’) but refuses to say who it is about, save that it is someone in the music industry. As she bustles about the house she is cheerful and welcoming, with a slightly manic, chat-chat-chat edge. This could come of the speedy pace at which she and Burton are operating just now (he is managing her) after four years’ ‘retirement’. Or it could come from the ingrained trauma of the 1990s, and the subsequent therapy she underwent – she was a patient of ‘celebrity therapist’ Beechy Colclough, Harley Street confidant of everyone from Elton John to Robbie Williams and Kate Moss. It is hard to imagine how full-on and clenched she might be if she wasn’t a serious yoga addict (she does two hours a day). O’Riordan and Burton have lived in this spacious, modern villa for three years. The walls in the hallway are covered with large-scale photographs taken at the children’s christenings – O’Riordan, glowing new mother in sleeveless dress, Celtic cross tattoo visible on one upper arm, loveheart tattoo on the other. Another shows her extended family, gathered after the ceremony, cheering for the camera. And Burton, beaming dad, in leather trousers and, in another, a pink brocaded suit. Jostling for wallspace in the hall and up the stairwell are some of O’Riordan’s music-industry awards: the 1994 award from America for Most Performed Song on College Campus, for Zombie, O’Riordan’s heartfelt if clumsy song about the Troubles (‘In your head they are fighting/With their tanks and their bombs/And their bombs, and their guns’); an acknowledgement of the nomination of Zombie for an Ivor Novello songwriting award; silver, gold and platinum discs from South Africa, Australia and umpteen other countries. Amid the torrent of her speech, O’Riordan offers glimpses of what sounds like a terrible existence, where her fame and her wealth cursed both her and her family. She is from the countryside herself, and knows the ways of rural Ireland, but talks of her ‘sticking out’ in the little towns and villages. She says, ‘Imagine living in this big house and you can’t go out because somebody’ll throw stones at you or chase you. “Your mammy’s nee nee ne-ne neer,”’ she says in a sing-song sneer. But being dubbed Ireland’s richest woman can’t have helped, I suggest. ‘Oh, it’s crazy. I flippin’ wish, man!’ Her reputed super-wealth was, she agrees, like a neon sign over her head. ‘Here she comes, who wants a free drink? Here, I’d like to build something, please charge me 10 times!’ she hoots, manically. The implication is that she was exploited, targeted. Indeed, in 2004 she and Burton were taken to court by their former child-minder, and accused of false imprisonment, breach of contract and negligence. The lawsuit failed. Equally, during my afternoon with O’Riordan, I overhear Burton talking about obsessive fans, in Belgium, Amsterdam and New Zealand, and how he has had to get Interpol involved. It is time to take the photographs. We walk down to the nearby cliffs overlooking Dublin Bay, taking a route through the 2.5-acre plot overlooking the sea on which she and Burton are about to begin building a new house. Burton, a bit of a handyman, describes their plans for a three-level, 10,000 sq ft home, complete with swimming-pool, gym and recording studio. It seems that they will continue to live in the villa up the hill, though. O’Riordan, resplendent in a Gucci dress, is radiant in every sense. She is still very thin, bony almost, and incredibly petite. But she is full of beans, even more so when Burton’s near to hand – she calls him ‘my rock, my pillar’. It is hard to imagine her even attempting a comeback without his steady management behind the scenes. The Cranberries are not completely defunct, she says. ‘I stepped away from the group four years ago. I walked out of this big, big room I was in for a very long time into a smaller room, a different room, an interesting new room. But I didn’t shut the door. It’s kind of open.’ She says she is not in touch with ‘the boys’ (who all live in Limerick) – she says they were never that close in the first place – although Burton talks to Noel Hogan ‘a lot’. For those who can’t get enough candid shots, DoloresOriordan.ie has posted more photos of Dolores’s band warming up on April 18 for the upcoming tour. UK record collecting site EIL.com reports that the upcoming limited edition “Ordinary Day” 7′′ vinyl single will be very limited indeed with a pressing of only 1,000 copies. Fans who want to assure their copy may want to preorder now. Brickfish today sent out a press release regarding their ongoing competition to design a web banner for Dolores O’Riordan’s new album Are You Listening? SAN DIEGO – (BUSINESS WIRE) – In support of Are You Listening?, her solo album being released May 15th, Sanctuary Records artist Dolores O’Riordan is offering the public a chance to design web banners promoting the album preorder. O’Riordan, the iconic former lead singer of Ireland’s The Cranberries, has sold in excess of 40 million albums worldwide. Are You Listening? 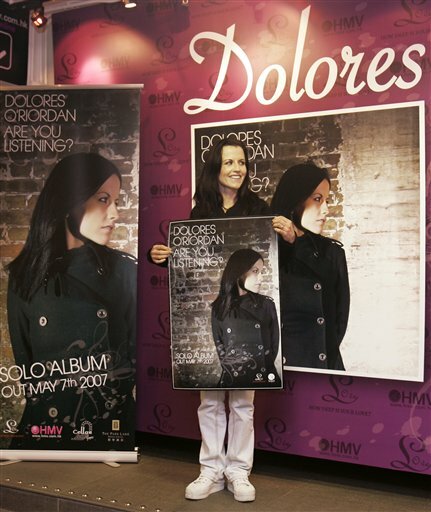 is the much anticipated album that marks Dolores’ first foray back into music in over four years. The debut solo single from The Cranberries’ singer is an emotional, introspective and classy aair. Although maybe a tad sophisticated for some palettes, O’Riordan is in fine voice on this Youth/Dan Broadbeck- produced song, which has been B-listed at Radio Two. It is taken from her album Are You Listening, released May 7.